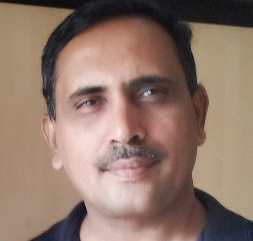 Manjunath is the founder member and Managing Trustee of Prerak Trust. He has an abiding interest in issues concerning the convergence of governance, technology and community and for enabling sustainable solutions in the WatSan sector. He is a civil engineer by profession working in the water and sanitation sector for the past 27 years. He has been associated with planning, design and implementation of water and sanitation systems in both urban and rural environments. Manjunath has hands-on experience in participatory engineering processes relating to water and sanitation. He has served with the Government of India, the private sector and the development sector. In addition to his extensive work in India, he has also served in Lesotho and Mozambique on deputation from the Government of India. He was Head, Urban Initiatives Program at Arghyam Foundation for over three years. Manjunath founded Prerak Trust in June 2012, and has committed himself to its vision and mission.